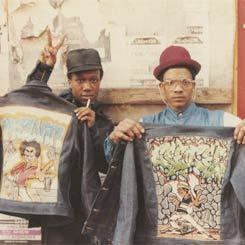 Back by popular demand after opening the latest edition of our ByDesign Film Festival, Fresh Dressed is a chronicle of hip-hop, urban fashion and the hustle that brought oversized pants and graffiti-etched jackets from Orchard Street to high fashion catwalks and Middle America shopping malls. 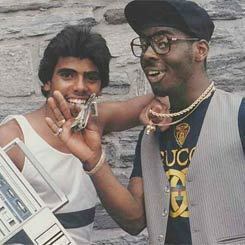 Beginning with historical roots in slavery, black churches and Dapper Dan’s legendary Harlem shop, this comprehensive cultural history covers a spectrum of people and players, from underprivileged b-boys sporting fat-laced Adidas to the idols they emulate, like Pharrell Williams, Damon Dash, Karl Kani, Kanye West, Nas Jones and Andre Leon Talley. More than a documentary about fashion and music, Fresh Dressed is a thorough contemplation of cultural economy, police brutality and community solidarity—in short, the history of hip hop. Jenkins said it best in an interview with Rolling Stone: "It's a part of the narrative of being in a tight situation as a person of color in America and using your resources to create a new narrative." In-depth interviews with rappers, designers and other industry insiders sketch out the parallels between the ‘something-out-of-nothing’ nature of creating hip hop beats and fashion. Of course, such a cinematic foray would not be complete without the proper soundtrack. Pulsing with bass and rhymes from across the hip hop canon, and decked with duds by Cross Colours, Karl Kani, Fubu and Sean John, Fresh Dressed is deeply insightful and passionate.